National Oatmeal Month: 5 Recipes | Winners Drink Milk! In honor of January being National Oatmeal Month, we are sharing a great post from our friends at DairyGood. Make sure you are making your oatmeal with milk for a creamier, nutritious boost! Enjoy! 1. Pumpkin Spice Oatmeal: Take winter by storm! This pumpkin spice oatmeal is a step far above your typical pumpkin fare, with the added benefits of milk! 2. Creamy Maple Cranberry Oatmeal: This recipe’s warm, comforting addition of maple syrup brings forth all the nostalgic flavors of childhood. 3. 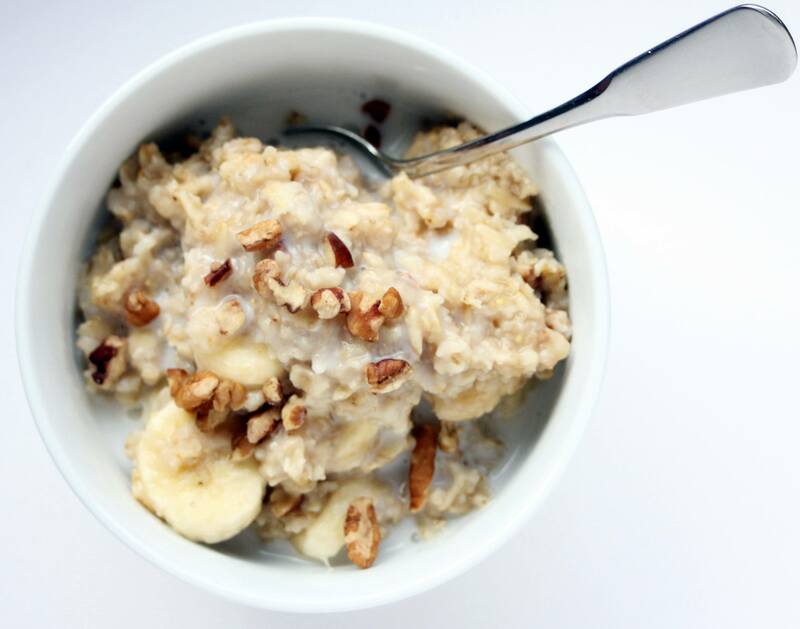 Banana Bread Oatmeal: The delicious taste of banana bread packed into a bowl of oatmeal. 4. Baked Autumn Apple Oatmeal with Raisins: It’s like apple pie… but better. 5. Pumpkin Oat Streusel Muffins: One more pumpkin recipe for good measure.